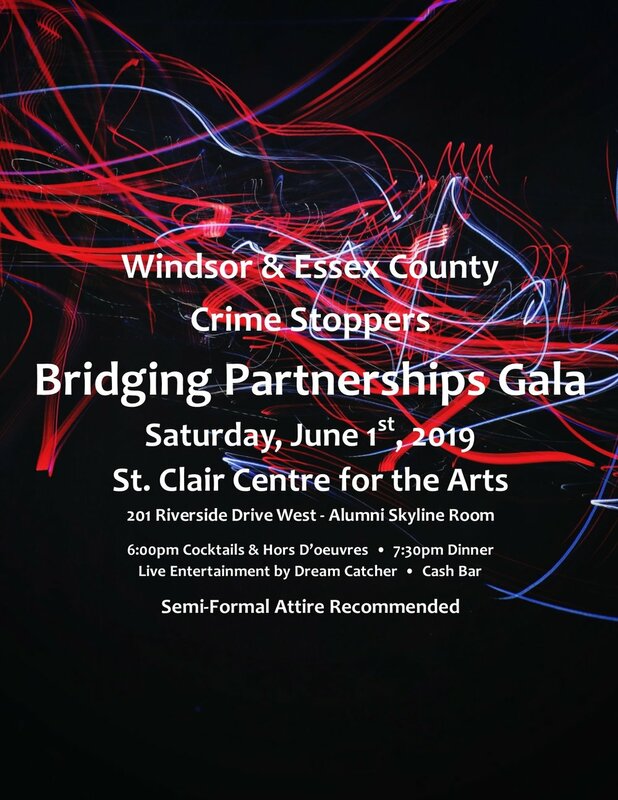 On Saturday June 1st, Windsor & Essex County Crime Stoppers is hosting its first Bridging Partnerships Gala at St. Clair College Centre for the Arts. The Gala will include representatives from the 38 Ontario Crime Stoppers Programs, local law enforcement and community partners. The evening will include hors d’oeuvres, a plated dinner, live entertainment by Dream Catcher and a brief awards ceremony that will highlight some of the successes of 2018 within Ontario Crime Stoppers programs.